All parents want more or less the same things for their children. They may want their kids to remain ambitious on their pursuit of a successful and happy life. However, life comes with no instruction. It can sometimes be overwhelming for parents to think how they can help their children secure a future full of possibilities. Good thing there are experts who generously shared various ways in unlocking a child's full potential, all of which can be easily start at the comfort of the home. 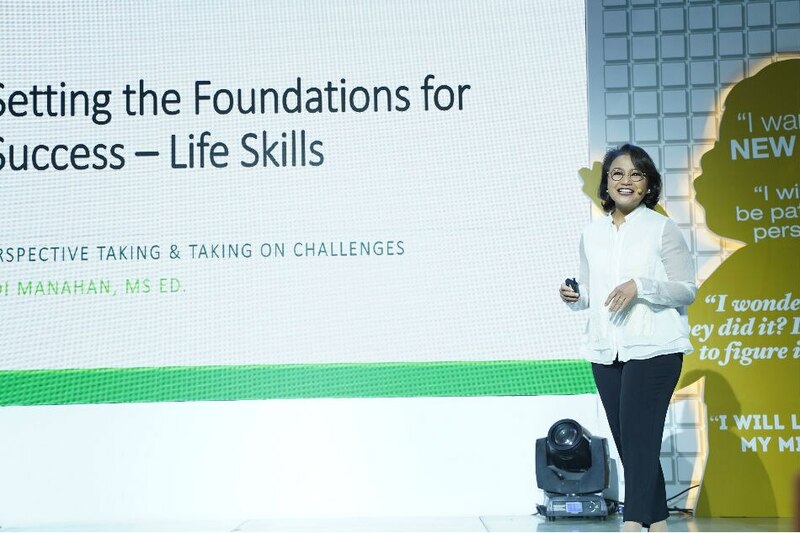 During the Parentology+ lecture series last January 15 in Whitespace Manila, parents and bloggers received useful tips from social and health experts in nurturing the positive disposition of children. These growth mindset, expert said, would be the children's cornerstone in achieving their full potential. 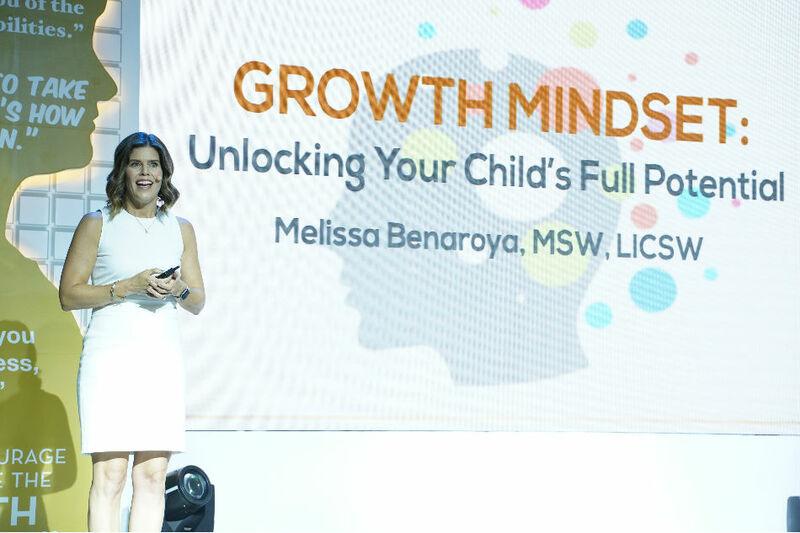 There are three ways how children can develop a growth mindset, said clinical social worker, author and parenting coach Melissa Benaroya, and parents play a crucial role in all of these. First is by modeling the right behavior for their children. "You are your child's primary teacher," Benaroya said as she address the parents in the audience. "They are watching everything you do and say." "They don't need a perfect parent, what they need is real parent. What they need for us to do is model how we manage and react to mistakes and how we learn," she added. "One of the mistakes I've made in parenting is sometimes I raise my voice, and I don't want to yell," she said. "There are times that I've done something like that, I call myself out. 'You know what, that wasn't okay, I need to try better.' Our kids need to see that we are human." Second is for parents to help their kids embrace mistakes. "Mistakes are simply opportunities for learning," she said. "Children need to hear this. They need to hear this message over and over again because some kids have really hard time accepting mistakes," she added. The third is knowing the power of words in shaping the outlook of their children. "We really have to be careful about the amount of praise we offer and how we offer," she said. She said that acknowledging the effort and improvement of children is the most beneficial. "We can acknowledge what they are learning and how they are improving without putting judgement," she said. Educator Didi Manahan gave emphasis on the skills that children need for success. Among them is the ability to take oneself to other person's shoes. Taking perspective, she said, is a higher order skill that would yield benefits to children in the long run. "Basically, it is being able to understand another person that would prevent the child from engaging in conflict," she said. "Be a perspective detective." Knowing the reason behind the action is important in coming up with a solution, Manahan said. "When kids go back to me crying and would say 'He's not fair,' my first statement is 'What happened, what did you see, what did you feel. After telling me what did you (see) and what you felt, do you still believe that the other person is not fair? '," she said. The nutrition of the children is an utmost priority as they lead a happy and fulfilled life. Pediatrician and epidemiologist Dr. Josephine Yuson-Sunga, said that instilling a progressive mindset to kids when it comes to their well-being is important. "This is a conscious effort. We have to push the mothers, the lolas, for the children to eat healthy," she said. Despite the family's health history, parents can still help their children remain in good shape through proper lifestyle. "We are not a victims of our genes. In fact, we are the masters of our genes," she said. Each interactive lecture became more fun with entertaining banters and activities. The experts also gave relevant online materials for parents to utilize. 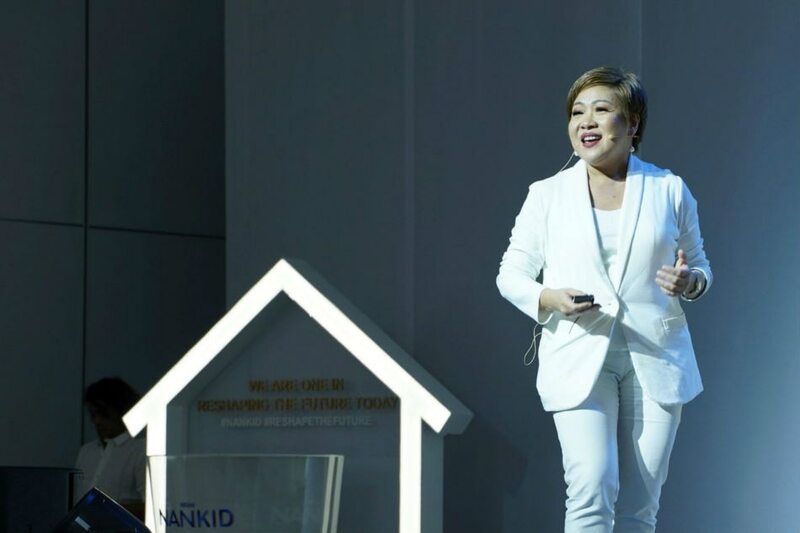 Maximizing the Instagram-worthy area, parents and bloggers also took the opportunity to pose and share their photos online with the hashtag #Nankid and #Parentology. The Parentology+ event ended with a commitment from parents to reshape the future of their loved ones, especially their kids. NANKID® OPTIPRO® FOUR and NANKID® OPTIPRO® HW FOUR are Powdered milk drinks suited for healthy children above 3 years of age. These are not breastmilk substitutes. NANKID® OPTIPRO® FOUR and NANKID® OPTIPRO® HW FOUR are formulated with optimized protein to ensure optimal weight advantage and optimal development advantage, NANKID® OPTIPRO® HW FOUR also contains partially hydrolyzed whey, clinically proven to reduce the risk of allergies.